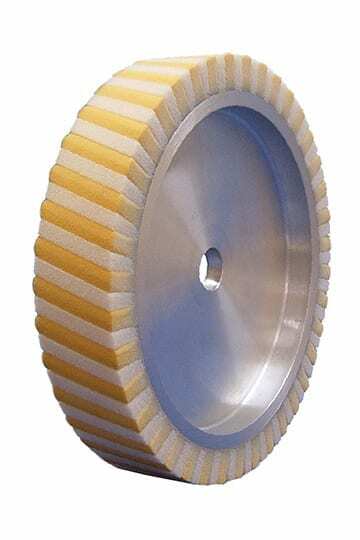 The contact wheel FAPI-PUS/KS is an extremely soft version of a contact wheel with a polyurethane foam and plastic foam lamella coating. 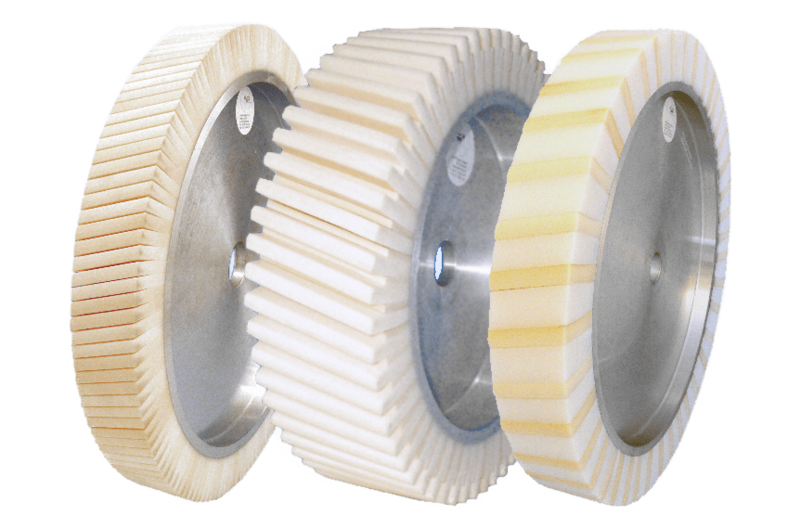 The alternating polyurethane and plastic foam lamellae make the contact wheel extremely soft and particularly adaptable. In practice, this contact wheel is used mainly for the finishing of strongly cambered or rounded workpieces. Because of the different material densities and the spacing between the lamellae heat dissipates very well during the grinding process. Our contact wheels FAPI-PUS/KS are used in particular to achieve a high-quality finish on heavily profiled or heavily rounded parts in a very short time.